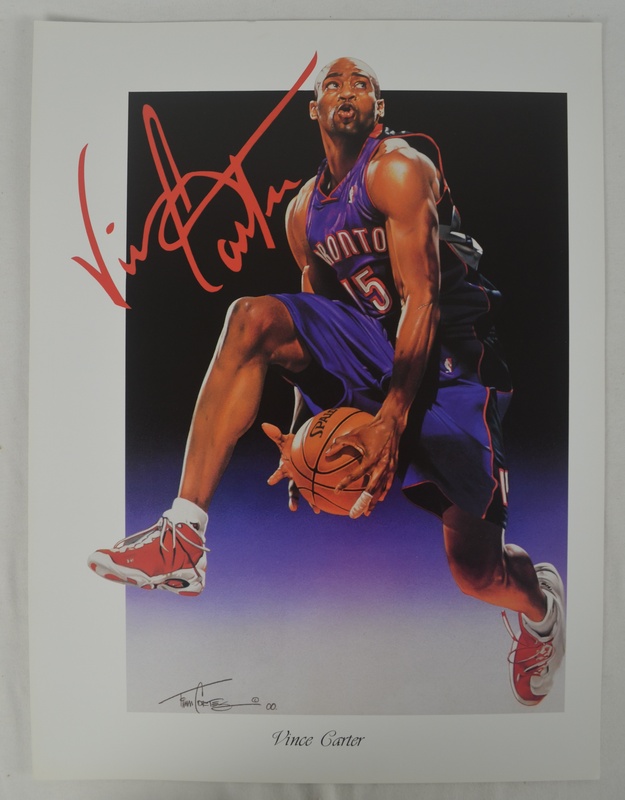 This lot features a collection of 4 Vince Carter fine art lithographs done by popular sports artist Tim Cortes. Tim Cortes uses colored pencil as his preferred medium. Hundreds of different limited edition lithographs have been sold all over the world and his clients are a venerable who’s-who of American sports. From Wayne Gretzky to Dale Earnhardt and from Shaquille O’Neal to Troy Aikman, Cortes has been commissioned to create countless commemorative works of art over the last decade. Known for his impeccable detail, Cortes has concentrated his talent on celebrating the life and times of many of the world’s most famous athletes and the sporting events in which they play. Cortes’ paintings have also been featured in numerous venues around the world, including The U.S. Hockey Hall of Fame, The Franklin Mint, and most recently at the jersey retirement ceremonies of NHL all-star Brett Hull and NFL all-pro, the late Reggie White of the Green Bay Packers. Tim's work is also showcased at the new Minnesota Twins Ball Park "Target Field" where his 3 World Series Murals are the center piece of the "Champions Club" lounge at the park. Cortes grew up in Duluth, where he later starred as a hockey goaltender and football captain at Duluth East High School. After a stint in the United States Hockey League, Cortes went on to play two seasons with the Golden Gophers of the University of Minnesota He then decided to pursue his lifelong passion of becoming a full-time artist and enrolled in the prestigious Minneapolis College of Art and Design. He has been creating ever since. 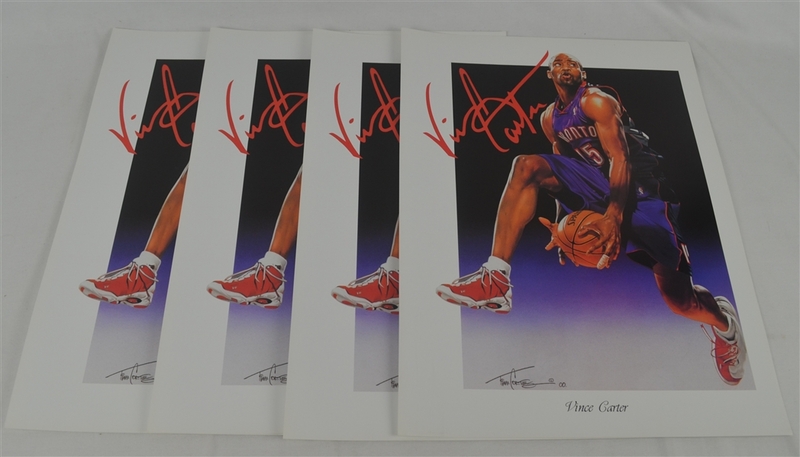 These Tim Cortes Vince Carter lithographs sell for $125 each ($375 value) which makes this a great dealer investment lot.